Awesome Property and Custom built ranch style home in the Town of Plymouth. 3+ bedrooms, 2.5 baths including Master Bedroom Suite. Fantastic Site-5.81 Wooded Acres. Home has 11 Rooms including 3 Bedrooms, Living Room, Family Room, Sun Room, Gaming Area, Exercise Room, Utility Room, Mud Room, Kitchen, Dining. 2010' Living Space Main Level, 1697' living space Lower Walk-Out Level. 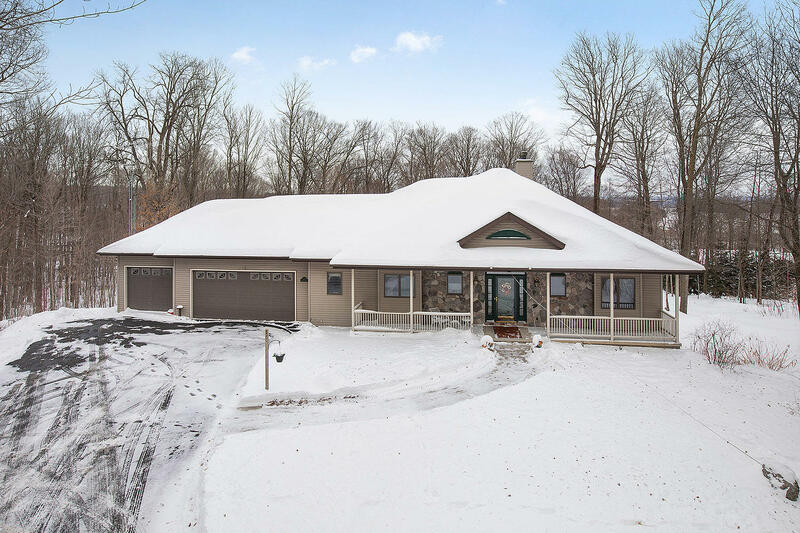 Extras Galore-Platform Elevator providing 0 step access to All levels, 2 fireplaces (Gas on Main Level & Wood Burning Lower Level), Newer Furnace (2017) plus Alternate heat of home & hot water heater - Central Boiler Outdoor Furnace, Numerous Amish Built, Customized Built-ins, Anderson Windows, Trey Ceilings, 3 Car Attached Garage with 2 doors & 2 drains. Hot & Cold Water. List of Features in Documents.